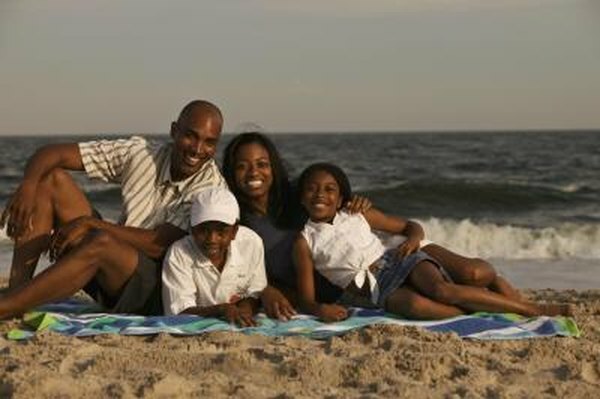 The IRS offers a panoply of tax benefits for dependent children. 3. How Much Do You Get for Claiming a Dependent When Filing Tax Returns? The IRS allows a wide variety of deductions, exemptions and credits for dependent children. The rules are designed to defray the cost of basic living expenses, education and medical treatment. However, there are conditions attached to these tax benefits, with one of the most important being the rule on actually filing a tax return. You must file a tax return to report your income and calculate the amount of federal tax you owe on that income. The IRS requires you to file a return if you pass a minimum income threshold, which varies with your age and filing status. If you have dependents in your household, you can exempt part of your income from taxes for each one (the IRS allowed $3,900 for each personal exemption for 2013), in addition to an exemption for yourself and a spouse. In order to do this, however, you must file a tax return. If you fail to do so, and are otherwise required to file a return, you will face penalties and interest in addition to any taxes you owe. You would also have to file a return to claim the child tax credit, which is good for up to $1,000 off your tax liability for each dependent child in your household who was under the age of 17 on the last day of the year. Even if you don't owe any taxes, you can receive the credit in the form of a refund from the IRS under the rules for the additional child tax credit. The credit, along with the earned income tax credit, is "refundable," meaning you may collect it even with a zero tax liability. Not filing a return would also prevent you from claiming the American Opportunity credit, which is worth up to $2,500 for the cost of tuition and fees at a post-secondary school. You would also be unable to claim the credit for adoption expenses, and the credit for dependent care expenses while you work or look for work. If you simply neglect these credits but do file a tax return, you can file an amended return up to three years after the due date of the original return; this would reduce the tax you owe on the earlier return and may earn a refund of taxes you already paid. If you fail to file a return, the IRS will assess penalties and interest on any overdue taxes. In addition, the agency may file a substitute return for you, basing that return on information that it has available from your employer and other sources of income. A substitute return will not calculate deductions, exemptions and credits you may be due for dependent children; your only recourse to claim these tax benefits would be to file your own return, which the IRS will use to make adjustments to your tax liability.